Less than a decade ago, the cell phone was rarely, it at all, used. Its primary purpose was to make calls. Now, with the evolution of technology, the cell phone has transformed into a powerful gadget that has become a necessity for everyone. Forget calling, now you can blog with your cell phone! You don't need to have an expensive smartphone for this. Any mobile with a data connection with SMS can be used. Using your phone, you can publish posts to Blogger at any time. This has immense advantages, especially for people who like keeping their friends and family updated, or reporters wanting to break the latest news on their blogs instantly, or travelers who don't often have access to the internet. Such people can publish a new post simply via SMS or MMS or email right from their mobile. Unlike other publishing platforms (such as WordPress) which have mobile apps, Google Blogger works an a different principle. 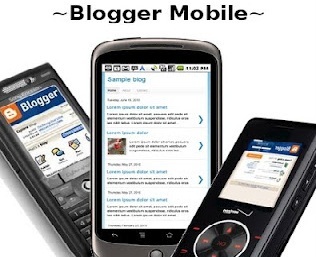 Blogger mobile can operate through messages, which means it requires no internet connectivity. Hence, mobile blogging is ideal for travelling users. Here's how to set up Blogger Mobile. To start publishing through your cell phone, you first need to register for a mobile blog. You can do this by sending an SMS or MMS to 256447 (BLOGGR) containing the message "REGISTER" (without quotes). Alternatively, you can send an email from your mobile to go@blogger.com with "REGISTER" as the subject. This will create a new mobile blog for you. You will get a message reply (SMS or email) containing your new blog name and a claim token. Save this token as it is needed for the set-up. This is how you can verify your mobile blog. Visit go.blogger.com and sign-up from the option given on the right. You need to get on another computer to sign up, and not on your mobile device. 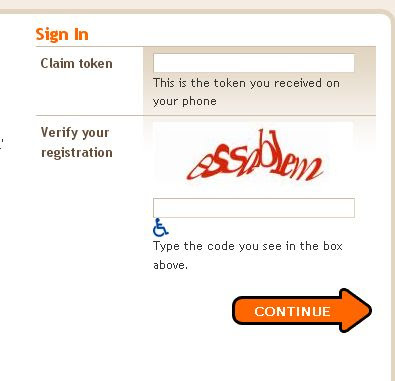 Enter your claim token, along with the captcha and your mobile blog will then be verified. Your mobile device should now be set up to publish posts to your new mobile blog. You can customize this blog visually by logging on through a computer. However, this new mobile blog will have a new blog address. If you'd rather that your mobile posts are published to an existing blog, you can select the option once you verify your claim token. If you emailed using an address already associated with a Blogger account, you will see a list of all the blogs that you manage. If you used a different email address, then you can go into your mobile blog and modify the “Mobile Devices” setup displayed on your Blogger Dashboard page. You can select any other blogs for your mobile posts to go to. Publishing a post through mobile is pretty simple. Simple send an SMS to BLOGGR (256447) with the post content. You can also send an MMS to the same number and format it just the way you want your post to be, including images and video clips. The limit for image files is 250KB. You can also send an email with subject and message body, which will become your post title and content respectively.